Milton Choto, founder and principal agent of the Milton M Choto Agency located in Huntington, is announcing the launch of a Long Island charity drive to raise awareness and support for families living with autism. Proceeds generated from the drive will be provided to the Long Island chapter of the Autism Speaks organization. “As committed community members, we all must remain vigilant and compassionate in order to break free from the barriers of discrimination and help one another live up to our fullest potential,” said Choto. To encourage the involvement of residents in the Suffolk County region, Choto and his team are instituting a referral program to help generate donations. 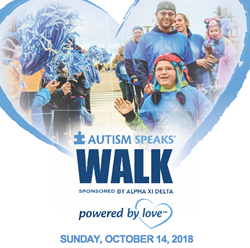 For each person referred into the Milton M Choto Agency for a complimentary insurance quote, the firm will make a $10 contribution to support the efforts of Autism Speaks. Further information on how to help raise support for the charity campaign has been provided here: http://chotoagency.com/rewards/. As a Personal Insurance Representative in Huntington, agency owner Milton Choto knows many local families. His knowledge and understanding of the people in his community ensures that clients of the Milton M Choto Agency are provided with an outstanding level of service. Milton and his team look forward to helping families protect the things that are most important – family, home, car and more. The Milton M Choto Agency also offers clients a preparation strategy for achieving their financial goals. To contact an expert at the Milton M Choto Agency, visit http://chotoagency.com/ or call (631) 271-0300.